This is an absolutely perfect decoration for your home or office for the fall holiday season. It's brand new to our collection and we guarantee you'll love it. 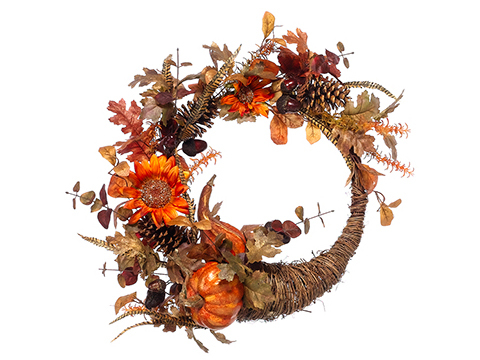 Click on the picture above to view more details about this artificial cornucopia wreath. Below are some creative ideas that many are using silk flowers for. 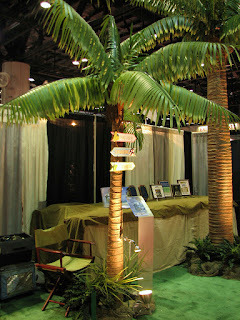 Take a look at the images below to spark some ideas for your next project, wedding or special event. Decorate your hats with silk flowers. 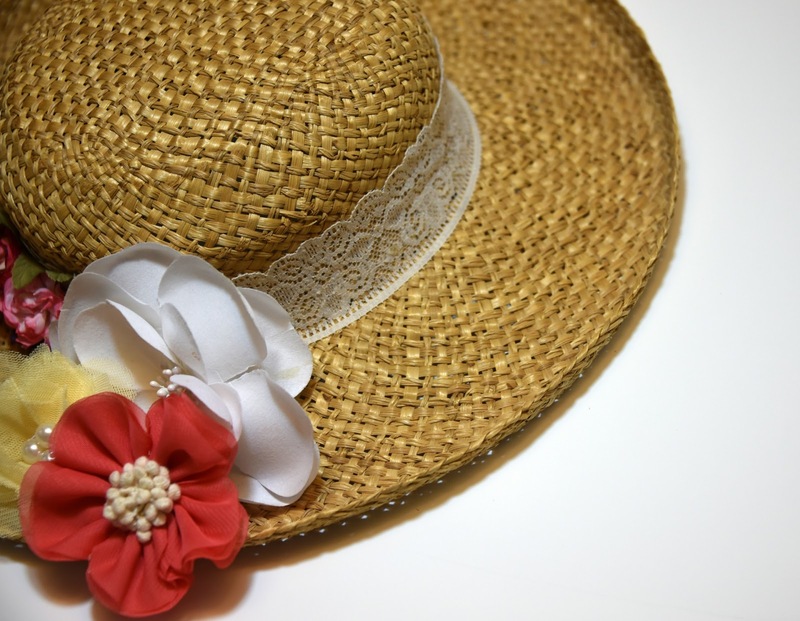 Take an otherwise boring summer hat and decorate it with a silk flower head or two. 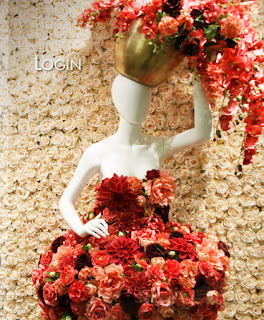 You can even go all the way around with the flowers to really give it some pop. Sunflowers and daisies seem to be the most popular during the summer but you can choose whichever flower catches your eye. Silk flower wreaths for your wall or door. By taking some twigs and tying them together you can weave the flower stems to them to create a beautiful wall or door piece. 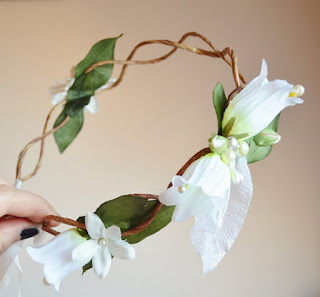 Silk flower headbands for birthdays or weddings. Similar to making a wreath you can do the same with a headband. Just measure the twigs around the persons head to give it the right fit and intertwine some flower stems to decorate. Once again your imagination is your only limit. This is great for matching dresses on those special occasions such as weddings, proms, or a quinceanera. 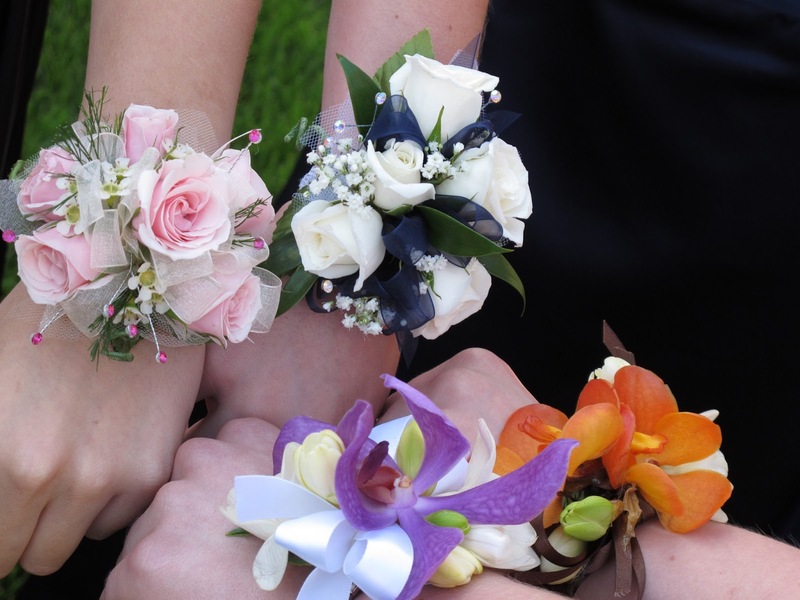 Just attach some silk flowers in a small bouquet to some ribbon and tie them on the wrist. It's as simple as that. 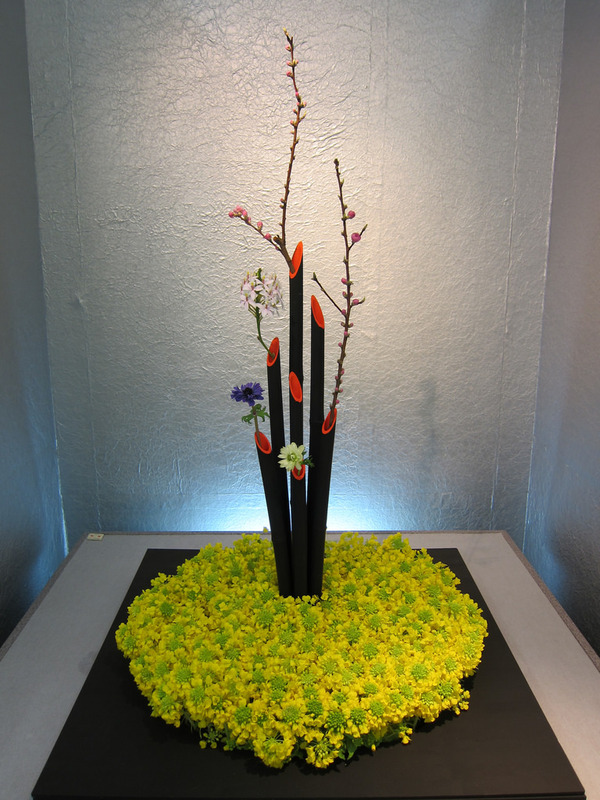 Making silk flower arrangements and Art. Like the pictures above show how you can be as creative as you like with this use. 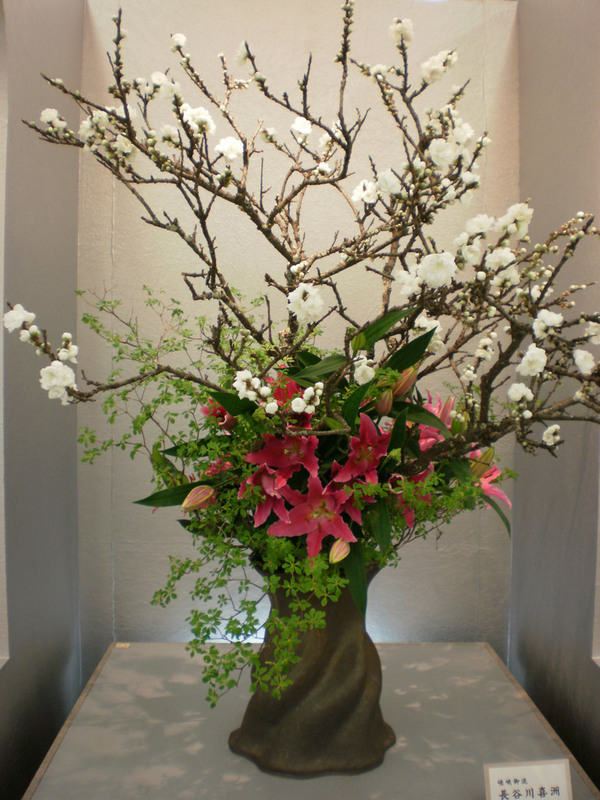 Create your own special arrangement or purchase one for your home or office. Some creations are considered works of art and can be displayed in creative ways. It's as simple as inserting flower stems and greenery into a vase just like you would real flowers or being extremely creative like the silk flower dress for a storefront window display. Silk rose petals as wedding isle runners. 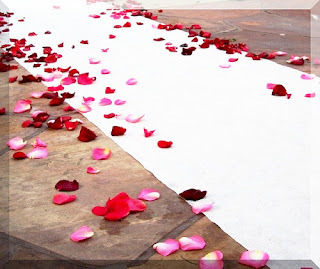 Many indoor venues no longer allow real rose petals as they will stain carpets. This is where realistic looking silk rose petals come into play. 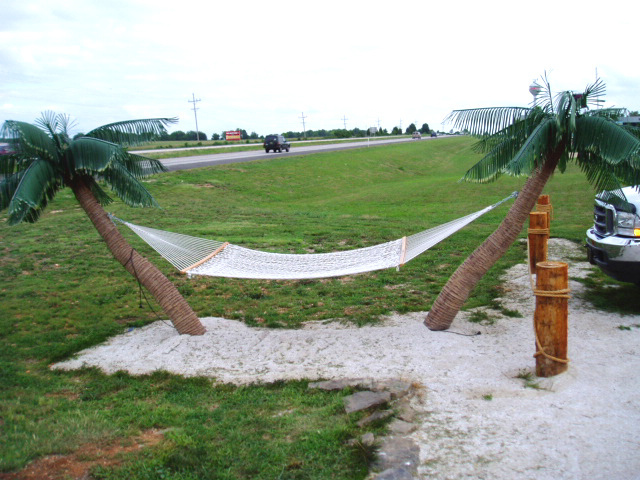 Like the picture above they are most popular in an outdoor setting and can be use as a full runner or in conjunction with a traditional runner. Some even go as far as making intricate designs with different color rose petals for the most dramatic effect. I'm sure there are many more uses you can think of for silk flowers and we would love to here from you. 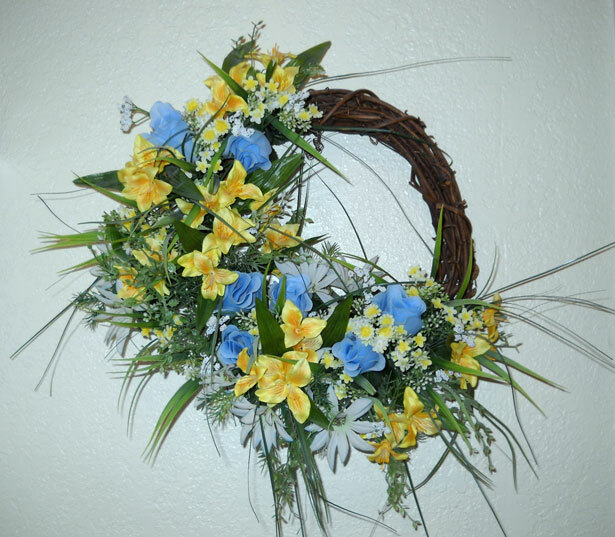 Feel free to leave a comment with some of your ideas or projects you've done with artificial flowers. You have just bought your new place and you have this vision of a perfect dream house for yourself. We all love our homes like our babies and try our best to make them a mirror of our thoughts and aspirations. Now that you have your dream place, maybe you should start by giving your house the best house warming present – Silk Flowers. Now, we all know that plants and flowers are the ideal gift to give to someone as a gesture of goodwill and happiness – something that will hopefully be a part of your life forever and ever. Natural flowers and plants are beautiful but they cannot stay forever and imagine a wilting flower arrangement in your new house, let us not even mention the expense. This is why artificial flowers and silk plants are the best gift for your beloved house. 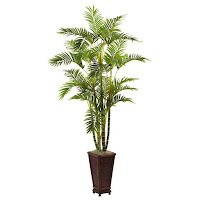 They will fill you house with grace and charm and will make the best house decor piece as well. Silk flowers in the artificial flowers category are one of the most sought out decoration pieces in the interior as well outdoor design world. 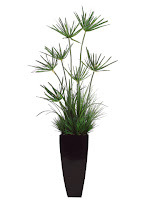 These flowers and plants are available in breathtaking designs and colours with almost zero maintenance fuss. Silk flowers are created by some of the most talented artisans in the field who have decades of experience with real flower arrangement, which also means that these flowers have such realistic beauty that people have watered them thinking that they are the real thing. These cases may sound funny but they also lay testimony to the excellent and lifelike craftsmanship of these silk flowers which allows you to fill your spaces with the beauty of nature in a hassle and mess free manner. Apart from being a perfect gift for your house, artificial flowers are a perfect house warming gift for your friends as well. When you give a loved one these flowers you are being extremely thoughtful and you are saving them oodles of care and maintenance giving them time to concentrate on other more important things in their life. 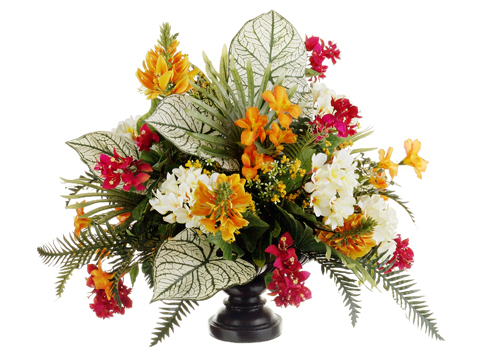 These flowers will give them the freedom to do whatever they want without worrying about the state of their plants. They can go for a vacation and come back home to the vibrant beauty of their silk flowers. Let us also not forget that certain people are allergic to natural flowers, giving them runny noses, headaches, watery eyes and long sneeze attacks. 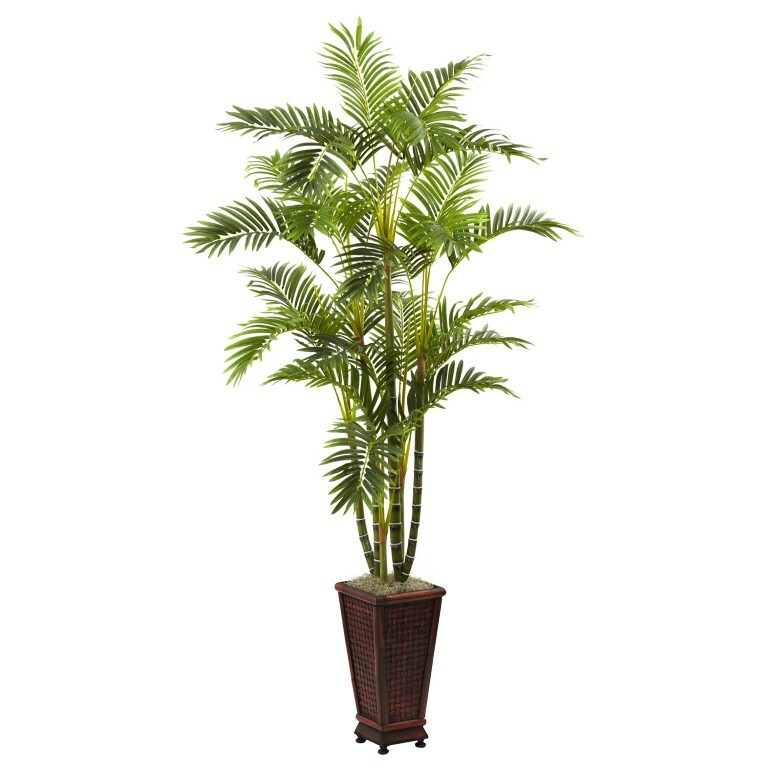 However, when you have artificial flowers like a silk palm tree then you can just kiss goodbye to these problems and only take in the beauty of these flowers. Outdoor silk flowers are the latest decor products that are all the rage in the home decor market. It is true that nothing can replace the beauty and magic of real flowers but these silk flowers do come in a close second and let us not forget that the restricted regional growth of natural flowers makes it difficult for us to get them and not everyone can afford them – natural flowers are expensive. However, thanks to these vibrantly beautiful outdoor silk flowers, you can now fulfil your dream of lavishly decorating your outdoor parties in the most hassle free yet beautiful manner possible. The beauty of these Outdoor silk flowers lies in the fact that they are extremely versatile and can be used to glamorize your spaces for various occasions. Whether it is a wedding ceremony, a fall outdoor party or just a casual get together- outdoor silk flowers will add the right dose of splendour and glamour to your surroundings while being very light on your budget, giving you more reasons to smile and enjoy your celebrations. 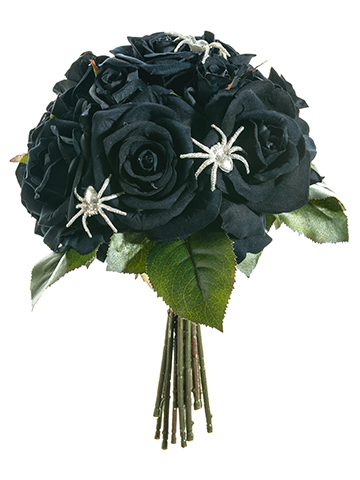 These flowers do not get spoiled and they will not wither away. This is why the lush decor and the romantic feel of your party will be maintained throughout and you can proudly receive the compliments given out by your friends. Moreover, you can easily reuse these flowers on various other occasions which in turn will help you save a lot of money in the future. These outdoor silk flowers are available in various styles and colours helping you to go from the simplest to the most lavish decorating themes according to your requirements. These silk flowers are designed to fit any type of arrangement that you want and no matter how many times you use them or how many types of arrangement you make with them – they will retain their beauty without getting bruised or any type of tearing. You can also mix and match various colours to form wonderful bouquets or you can use them to craft stunning tabletops. 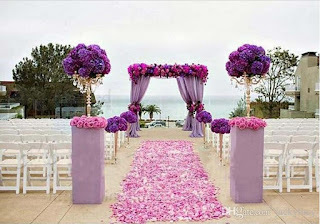 You can also use these flowers to embellish entrances and aisles or with ribbons to decorate the chairs and tables. No one can deny the fact that nature and the vibrant feel of trees can light up the dreariest spaces. If you have a brown thumb then I can completely understand your reluctance to except this fact, because you are ready to sacrifice the beauty of trees because you cannot keep up with the maintenance of a garden with real trees. What if I tell you that you can have the natural beauty and soothing effect of these trees minus the maintenance? I am sure you will just laugh off my claim, but it is true. 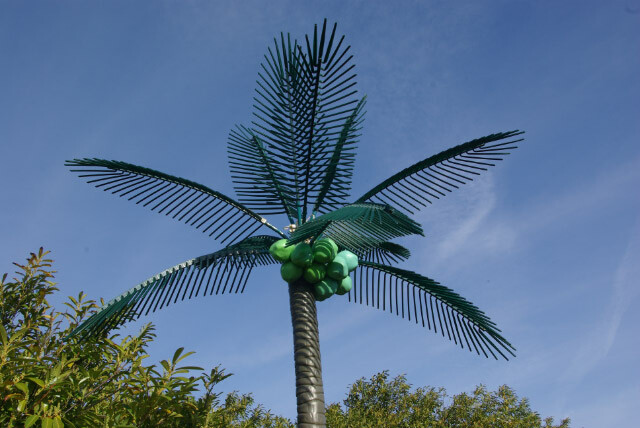 Get close to nature and your inner peace with Outdoor Artificial Trees that are the latest fad in the home decor world f today. 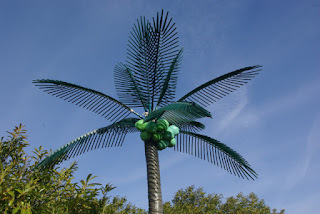 You will surely not give up with the chance of uplifting your mood and your garden space with some topiary rather than have a dark and drab room or a paved, plain garden. 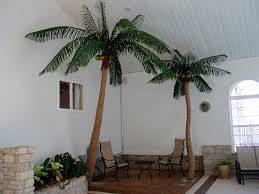 These outdoor artificial trees give you th chance to decorate your yard and gardens like you wanted to without ever worrying about the maintenance they will require. If you have a clinic with a front lawn or an office than these places are exactly the type that can benefit from these artificial plants and trees. 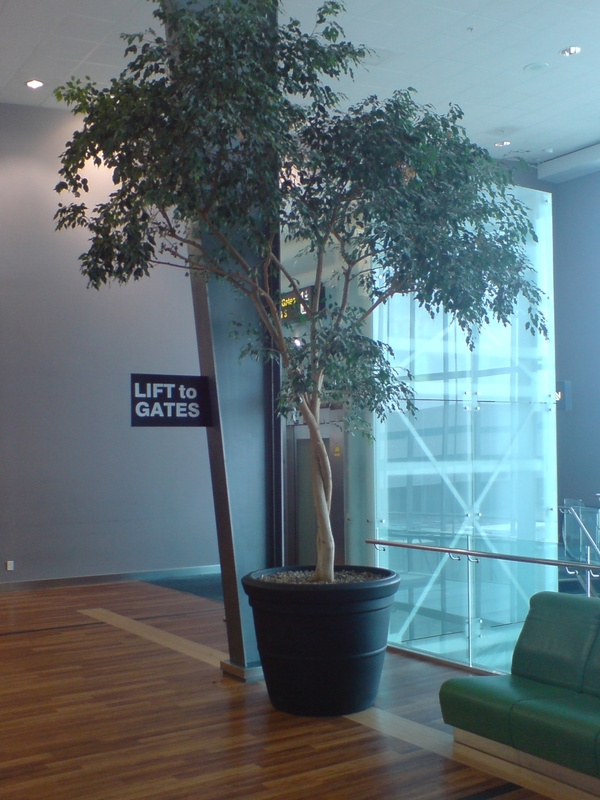 When you use outdoor artificial trees and plants for your commercial or professional work spaces you do have to worry or spend a fortune on maintaining these trees when the buildings close for holidays or weekends or when your work place is simply staffed with people who are time-pressed and are unable to care about topiary. The same can be said for single professionals or families who are dealing with a hectic schedule and do not have the kind of time nor the finances to devote to preening and watering real plants and trees. Moreover, a lot of professional gardeners will tell you that with today’s climate change and the deteriorating soil quality the maintenance of trees and plants is difficult and you will need some real hard work to maintain your garden. 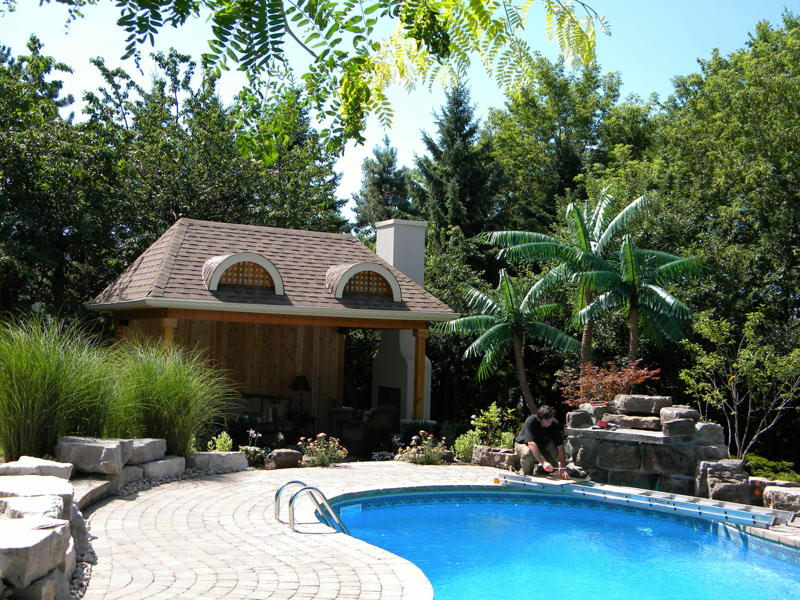 This is why outdoor artificial trees are your best bet because they are immune from any disease or fungus which might be afflicting for your garden. Whenever you look at plants in a shop window or your neighbour’s cozy little garden, you want them for yourself. 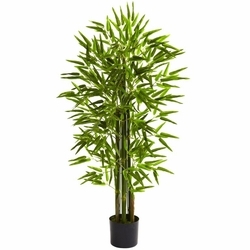 Unfortunately, the maintenance of real plants and tress is not very easy especially if you have a busy life and no inclination towards gardening. 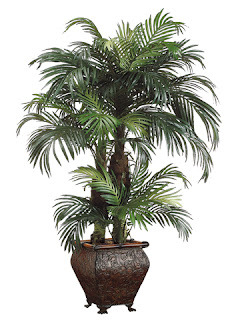 However, you can still have the beauty of plants surrounding your lawn or garden without worrying about maintenance all you need are the expertly created outdoor artificial plants that are taking the home decor market with a storm. With your busy professional life in the city and the stress of doing better than everybody else, you the need to get away from this constant bustling is very overpowering. Your home is your only solace and we all try to make it our own personal haven. Outdoor artificial plants have been playing the role of peace inducers for years now and they have a calming effect on us, given their breathtaking likeness to natural plants. They give us the sense of being in the lap of nature away from all the mindless running of our lives even when we are surrounded by this organized chaos all the time. These plants are designed within decorative pots which are perfect for your front steps –what a way to welcome guests and yourself. 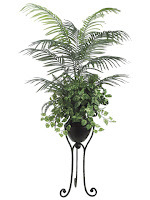 These potted plants are also used in gardens to make a verdant bed of greenery. 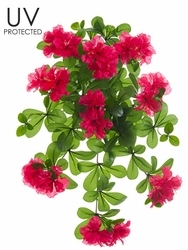 A lot of premium artificial plant designers and creators have now come up with decorative plants that can be directly planted in the ground such as outdoor rhododendron. You can also get really beautiful silk boxwood bushes that are perfect for your front walkway or they can also be arranged along the front walkway. These artificial bushes and shrubs do not require water and fertilizer while they still maintain the fertile facade. 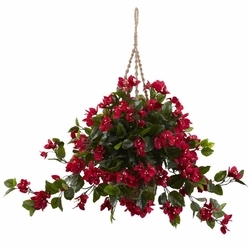 Outdoor hanging silk plants are the latest trend in the home decor world and you can choose these plants in hanging baskets or wall hung containers. 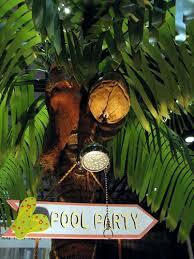 These hanging plants are great to add vibrancy and colour to a garden space or yard that is not very big. You can easily hang them in eaves, poles, porches and even tress without worrying about water dripping onto every surface as they do not require water. 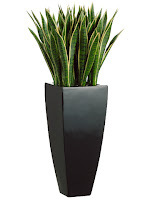 Moreover these synthetic plants are UV protected and therefore show zero effect to sun exposure.